At Cloud Base we offer paragliding tuition, license courses, powered paragliding tuition, tours, and equipment sales and rental. 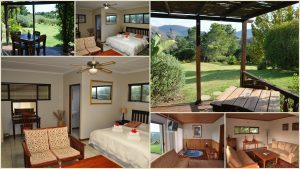 We are based in the Garden Route town of Wilderness on the East Coast of South Africa. Our nearest large town with an airport is George, 20 km to the Northwest. There are 24 flying sites within an hour’s drive. These range from easy coastal soaring to cross country thermals. Jan Minnaar and Khobi Bowden apply their extensive local and international knowledge to enable you to fulfil your dreams. 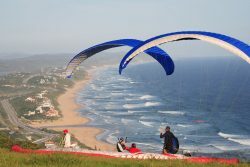 For Accommodation 7 Km from Cloud Base Paragliding, have a look at our accommodation options by following the link below. To make a reservation follow the Book Now link.